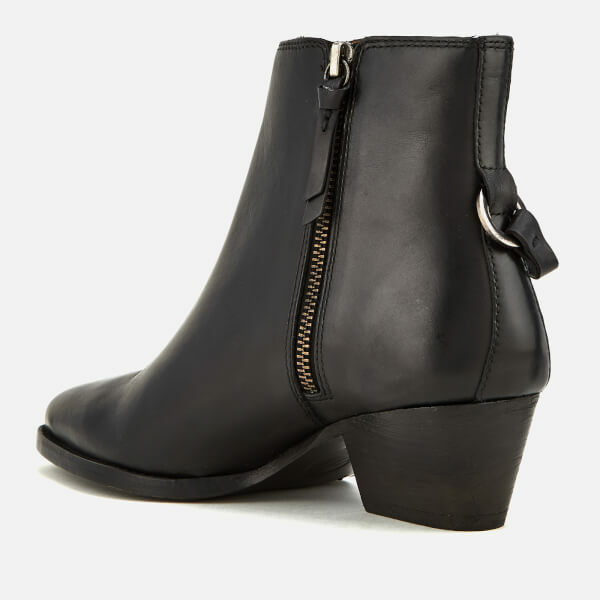 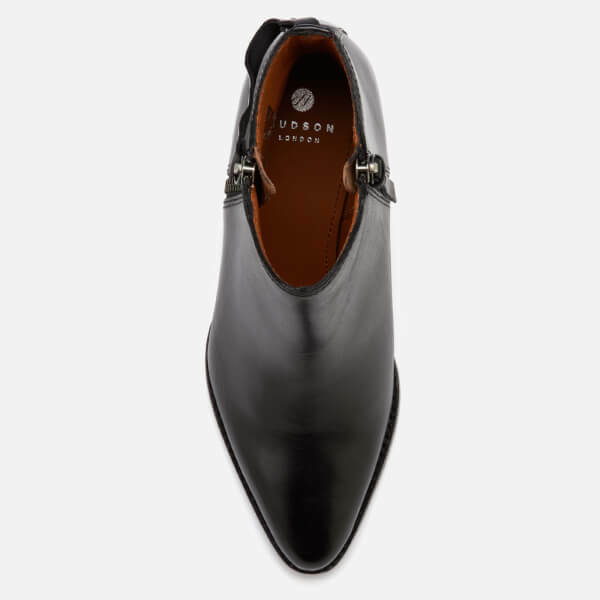 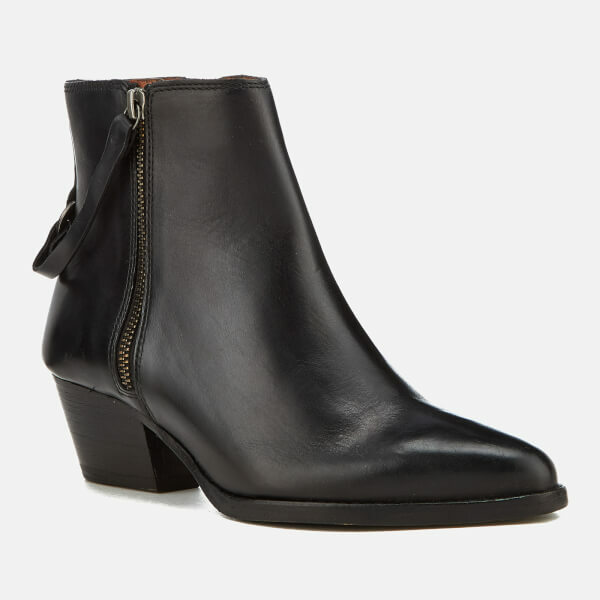 Women's leather ankle boots from Hudson London. 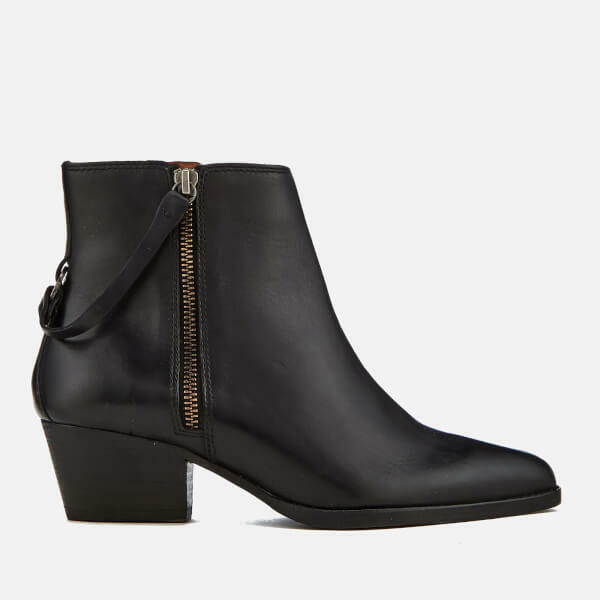 Crafted from supple leather, the 'Larry' heeled boots feature a pointed toe, ankle-length shaft with zips to either side, and leather harness detail that connects to the back with silver-toned hardware. 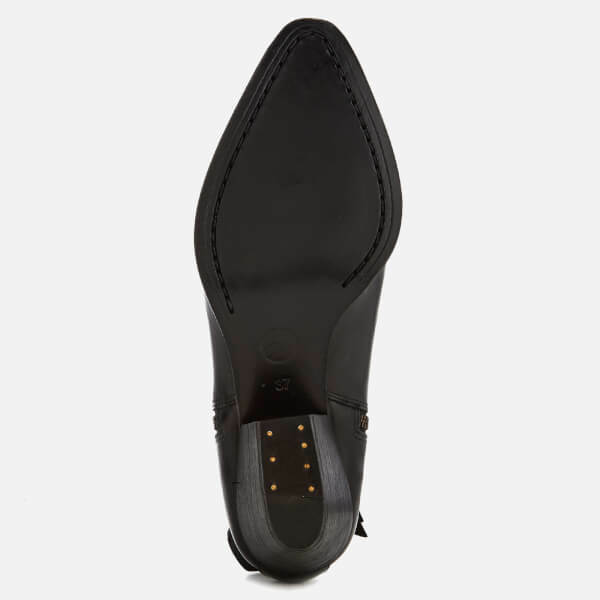 Set upon a leather sole with Cuban heel. 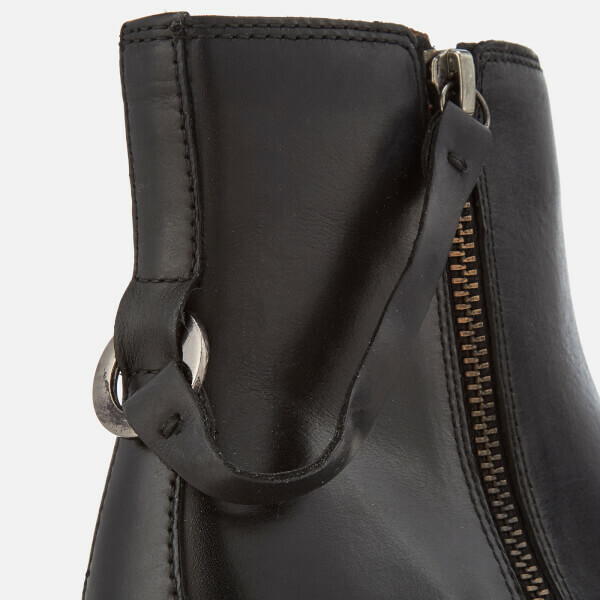 Contrast lining.